Rough day at work and the little girl has been up with a bad cold two nights in a row...excuses for the brevity of today's post. 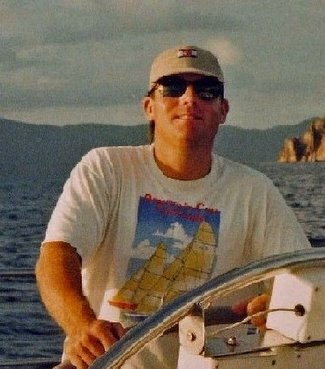 After covering more than 40,000 square miles of California coastal waters - the U.S. Coast Guard has called off the search for 63-year-old Jim Gray...who left on a solo sail last week to scatter the ashes of his 97-year old mother. And here's something that might be better suited for Propercourse...news of a new sportboat, the Laser SB3. Says the article, "The new Laser SB3 is a fast and exhilarating three man Sportsboat with a powerful modern rig. The boat has amazing stability and a clean uncluttered cockpit that gives the three crew members enthusiastic racing in comfort, without the aches of highly physical sailing." Without the aches? Now that's innovation! Maybe something to try when I'm too old to sail a real Laser. Say when I'm 80? I've had 2 seasons in SB3s and they ain't dry! - at least not for the guy/girl(s) at the front. Comfortable? to a point - since there is a rail to prevent hiking that can dig into your back in a bad chop. The fun is in having a boat that you don't have to be an athlete to sail but is seriously quick (lots of sail area) and can be towed behind a normal car and being able to compete with equal kit in a huge fleet without spending a fortune.